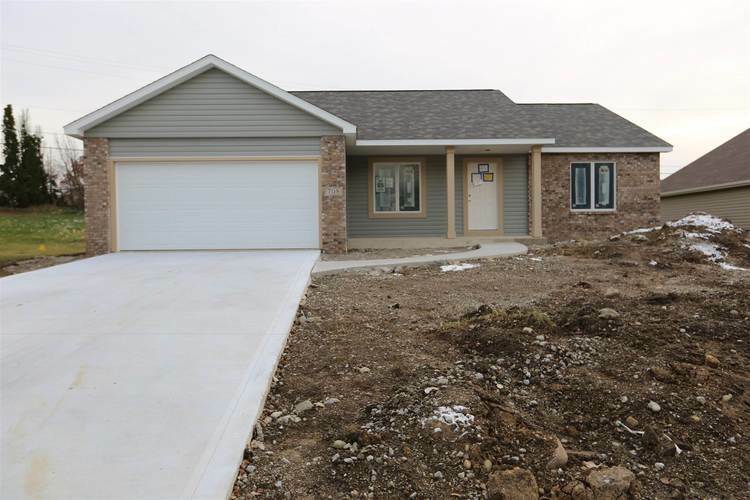 Split bedroom ranch home by Granite Ridge Builders on a full basement! This open plan offers a covered front porch overlooking the large front yard. The great room has a cathedral ceiling and opens to the kitchen and the nook. The kitchen has custom cabinetry, island with breakfast bar and smooth top black range, dishwasher & microwave. The master suite has a walk-in closet and full bathroom with a 5' wide fiberglass shower. The full basement has stud, wire & insulation. The basement is plumbed for a future full bathroom and included the tb/shower unit plus and ingress/egress window for the potential of a future fourth bedroom. The projected completion date is late December. Directions:State Road 6, North on Riley Road, turn right onto Wedgewood Place & Arcadia Ct is the first right. The home will be located down on the right.